Philippine President Rodrigo Duterte has ordered the Philippines military to occupy and fortify islands in the South China Sea, which the Southeast Asian republic lays claim to, in order to make a “strong point” amid its territorial dispute with China. "It looks like everyone is making a grab for the islands there. So we better live on those that are still unoccupied. What's ours now, we claim it and make a strong point from there,” Duterte told journalists at a press briefing that followed his visit to a military base located in the Philippine western Palawan province, Reuters reports. "We tried to be friends with everybody but we have to maintain our jurisdiction now, at least the areas under our control," he added, as cited by AP. The president ordered the occupation of between nine and ten islands and shoals of the disputed Spratly archipelago located in the South China Sea, the largest of which is the Pagasa Island also known as Thitu. "There are about nine or 10 islands there, we have to fortify," President Duterte said. "I must build bunkers there or houses and provisions for habitation." The Philippine Defense Ministry has confirmed the information about the occupation plans. "The president wants facilities built such as barracks for the men, water [desalination] and sewage disposal systems, power generators (conventional and renewable), lighthouses, and shelters for fishermen," Defense Secretary Delfin Lorenzana said, as cited by AP. In the meantime, Duterte also said that he might visit the Pagasa Island on the Philippine Independence Day in June. "In the coming Independence Day, I may go to Pagasa Island to raise the flag there," he said during the press briefing. The Philippines marks its 119th year of independence from more than three centuries of Spanish rule on June 12. 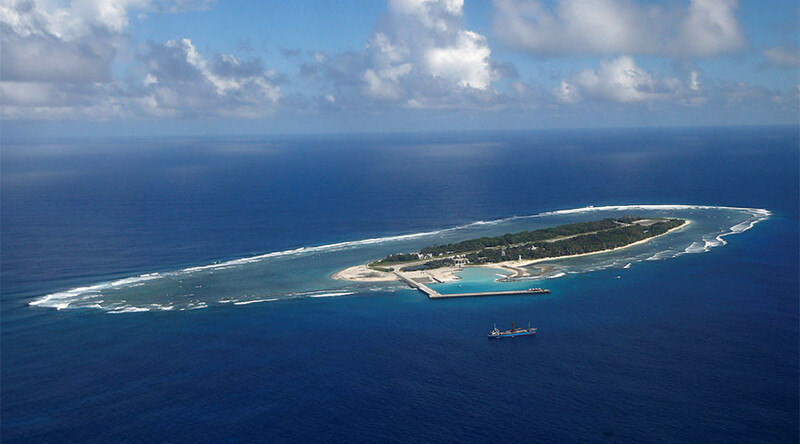 The move could potentially provoke an angry reaction in Beijing, as the Pagasa Island is close to the Subi Reef, one of the numerous man-made islands that China built across the Spratly chain. In late March, Duterte also said that he would invoke an international arbitration ruling issued by The Hague Tribunal in June 2016, which rejected China's claim that it has historic rights to most of the South China Sea. However, the Philippines also worked to mend relations with China over the South China Sea territorial dispute after Duterte took office in June 2016. His latest move comes as the two sides are preparing to hold bilateral consultations on the disputes, with China offering to host the initial meeting in May. In mid-March, Duterte already ordered his military to declare ownership of an area in the South China Sea but stressed that they should do it in a “friendly” way. At that time, he also said that the Philippines cannot match China’s military might and has only diplomatic options in this dispute. 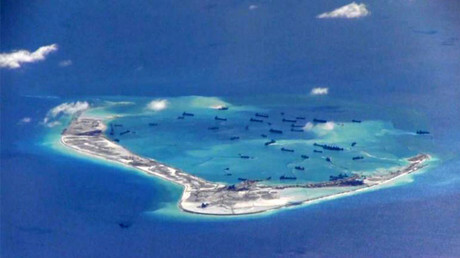 China has already built runways, aircraft hangars, radar sites and hardened surface-to-air missile shelters on its artificially created islands in the region, according to the photos analyzed by the Washington-based Center for Strategic and International Studies (CSIS). In response, China has called Washington’s involvement in the dispute the “greatest” threat to the region. 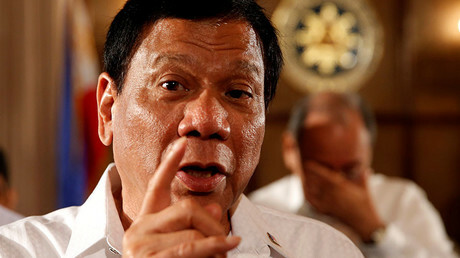 At the same time, Duterte repeatedly accused the US of not doing enough to ease tensions in the South China Sea and recently asked the US ambassador to the Philippines why Washington had not sent warships to stop China from building its artificial islands.